10+ Easy and Gorgeous Wedding Nail Art Design Ideas for the Indian Bride! Wedding nail art, or basically the chance to have the most amazing manicure ever is possibly on every bride’s mind, and where better to look for some inspo than instagram? 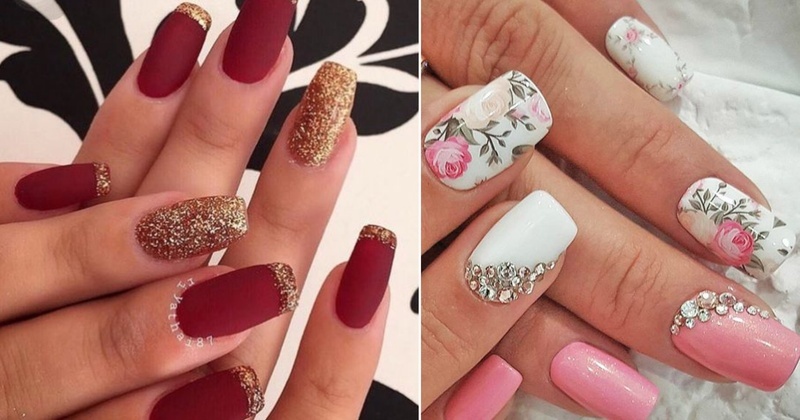 Now, there are not many nail art designs that you can find on Instagram, Pinterest and Tumbler combined that will go with your wedding lehenga. So, like always we did the research for you. So, all you lovelies, start taking care of your nails from now as your nail design will definitely bring about that mehendi better!